It is also important you supply an evaluation so we can report to our partners about the how the field trip worked in different classrooms, regions, school types etc. Congratulations to Frank Usherwood and his class from Bethlehem School in Tauranga! These prizes are kindly sponsored by the Department of Conservation. The evaluation form can be completed through your MyLEARNZ control panel after the field trip. 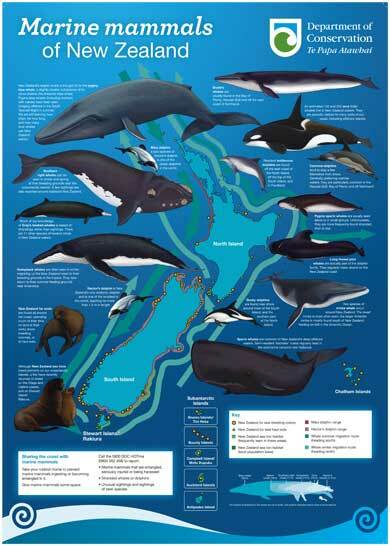 This marine mammals poster is one of the evaluation prizes on offer. Image: DOC.